Leader Card is exclusive for this draft box01. 4 types of Leader Cards are inserted randomly in this draft box01. What is DRAFT BOX 01? 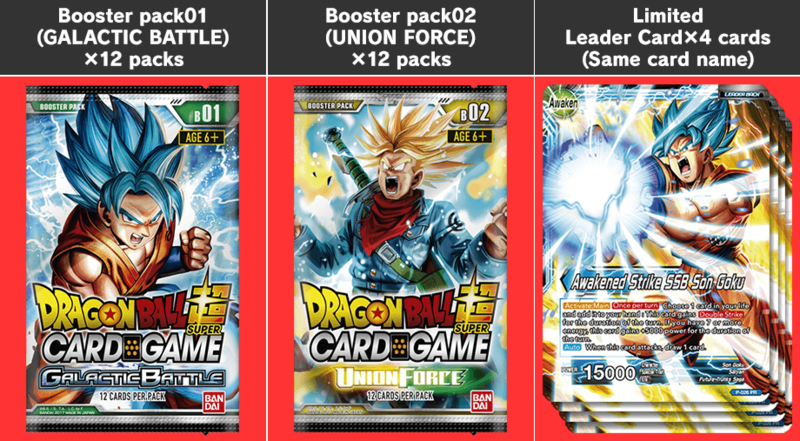 1 boosters and 12 series 2 boosters (total 24)! Distribute the Leader Cards and boosters to start drafting! Check out details for recommended draft rules on our web site from Friday, November 17th! 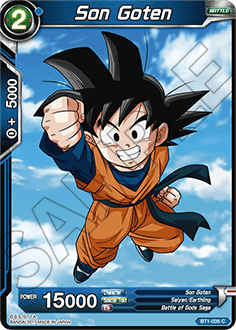 A draft is a way to enjoy Dragon Ball Super Card Game with a group of friends! One Draft Box 01 provides everything necessary to draft for up to 4 people! Call up your friends and get the battles started! Draft Box 01 includes the following items. 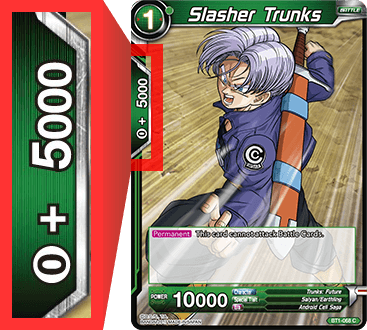 The items players actually use in the game are 2 kinds of booster packs and the included Leader Card. The Tournament Pack (Vol.1) is not used in the game… the person who bought the box can take it as a small bonus… or players could make it the prize given to the winner of the draft! 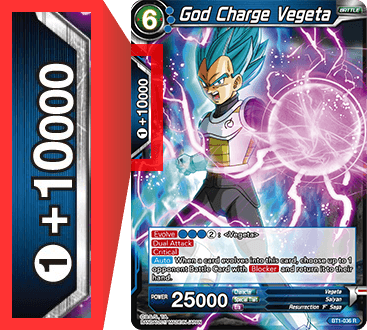 There are 4 different kinds of limited Leader Cards. A single box includes 4 copies of one them. 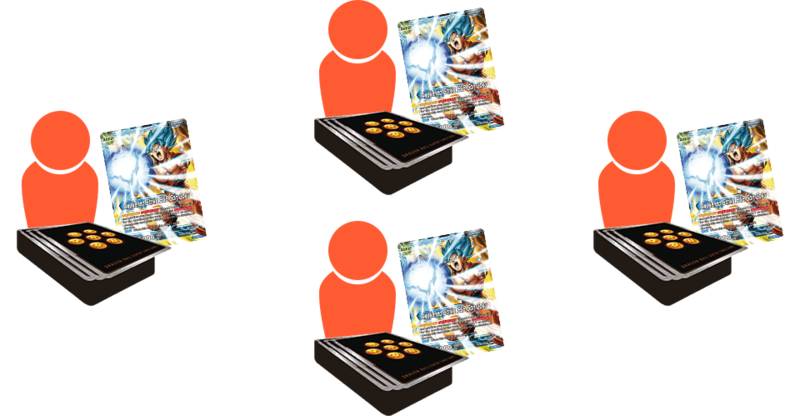 Gather all 4 players at a table, then distribute 1 Leader card and 6 booster (Booster Pack 01×3, Booster Pack 02×3) packs to each player (make sure players are seated in a way which does not allow them to view any other player’s hands). It looks like we’re all set for a draft! In a draft, players build a 41 card deck (40 deck+1 Leader Card) only from cards included in the booster packs (deck construction rules have been altered in order to fit the format). First, open one series 1 or 2 booster, choose a card, and place it in front of you face-down. Then, pass the remaining cards to the person on your left. Put the remaining 5 boosters and Leader Card aside for now. *Choose a card which you would like have when building your deck and place it in front of you face-down. Then pass on the remaining 11 cards to the player on your left. Do not draft before confirming each player has chosen a card from the pile of cards they currently have. Decide any sort of drafting call such as “Draft!” or “Go!” so all players pass around cards simultaneously. When you receive a pile with 11 cards, choose 1 card from them and pass the remaining 10 cards to the player on your left. Repeat this process until there are no more cards left in each pile. 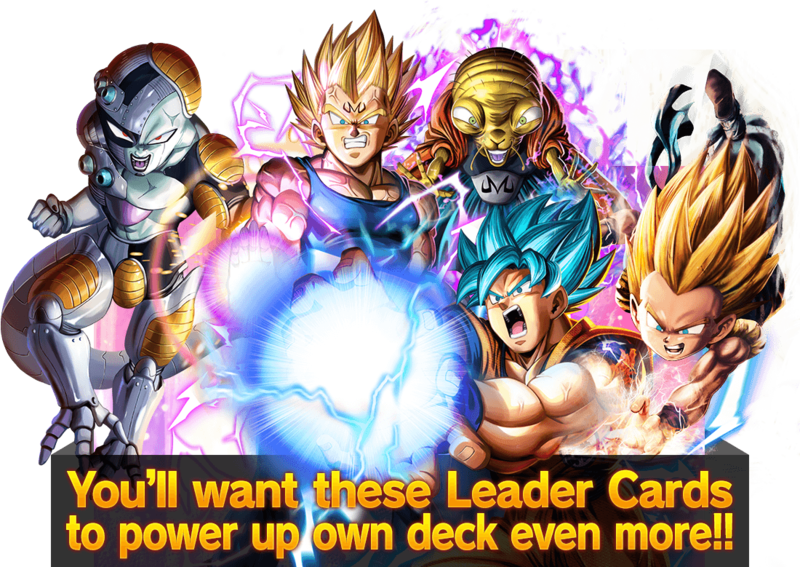 If you open a booster pack with a Leader Card, If you have only leader card which was distributed in advance you must choose and take Leader Card from that pile. 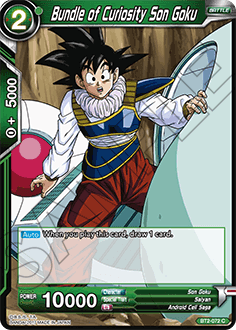 Then you can also choose another card to take in a normal fashion. Pass on the remaining cards to the next player. *Take a Leader Card, then take another card from the same pile. 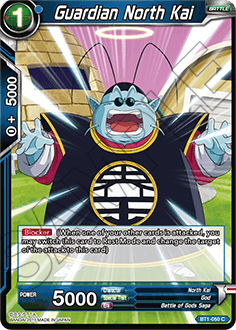 After the cards from the first booster run out, open a new booster but for this round pass the remaining cards to the player on your right. Reverse the direction cards are passed around each round as such, and repeat this process until all cards from all 6 packs run out. When all cards have been taken, the draft is over. After the draft, players need to construct their decks. Each deck must be made up of 41 cards (1 Leader Card + 40 cards). All remaining cards can be used as your side board. A round robin tournament (fighting against all other players) with Bo3 matches is recommended. After finishing a game, players can switch around any number of cards between their decks and sideboards before moving onto to 2nd and 3rd games. In a Bo3 match, the first player to win 2 games wins the match. Fight to the top in this battle of gameplay and deck construction skills. 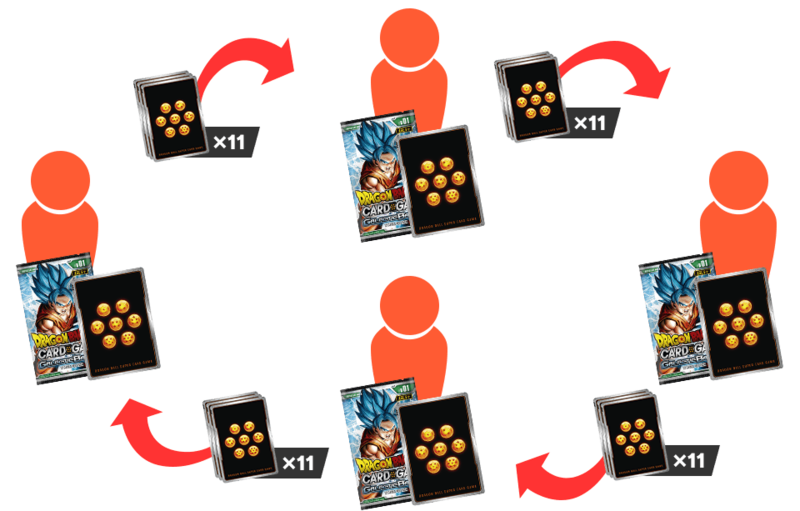 Decide how to distribute the cards pulled from the booster packs. 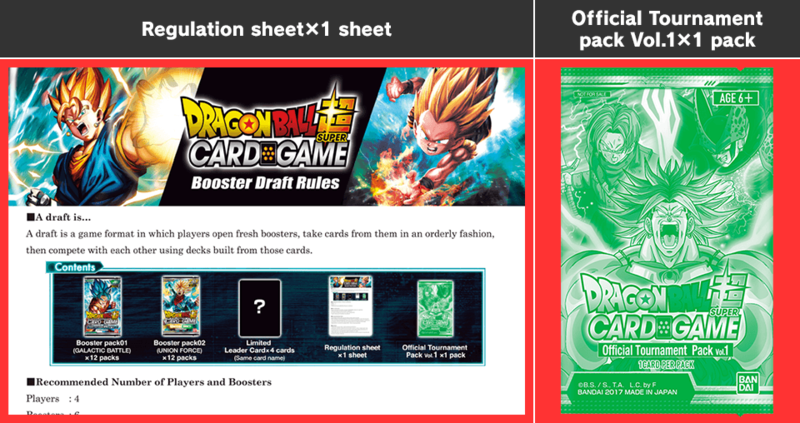 We recommend the methods below when drafting with the DRAGONBALL SUPER CARD GAME. Each player keeps all the cards they took from boosters during the draft. At the end of the tournament, lay out all rare cards (Rare, Super Rare, Special Rare, and Secret Rare) on the table. Then, players take turns drafting a card of their choice starting from the player who ranked 1st place, then 2nd place, and so on. Players keep all the common and uncommon cards they took from boosters during the draft. 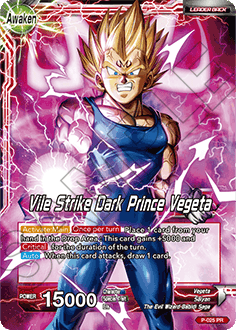 Let’s look at a few key concepts for drafting DRAGON BALL SUPER CARD GAME. Once you have these under your belt, drafting will be easier – and more fun! ①Draft lots of cards with lower energy costs! 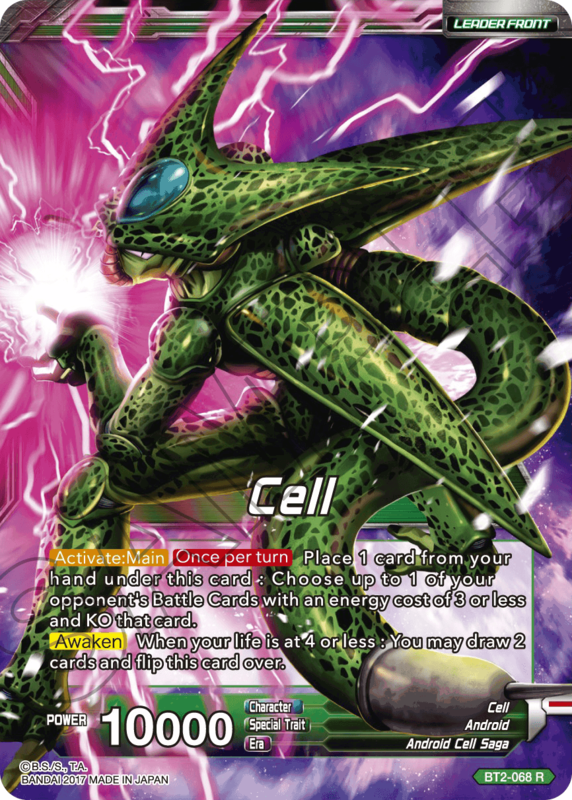 If you draft nothing but expensive cards, you’ll have difficulty playing enough Battle Cards to keep up the pace, and may find yourself without enough cards in the Battle Area – a dangerous predicament to be in. Draft a balance of low-cost cards, and you’ll avoid this problem handily. ②Aggressively pick flexible Leader Cards! 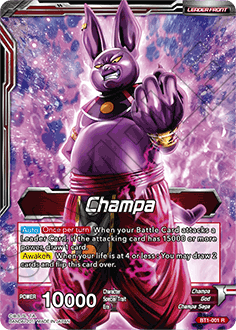 “BT1-001 Champa,” “BT2-068 Cell” and similar Leader Cards don’t require you to play specific colors or cards, making them easy to use regardless of what you end up picking during the draft. If you take too many cards with a combo cost of 1, you’ll find it difficult to combo. Combos can be performed with energy of any color, so it’s worth checking the combo cost of cards – even when they’re not in colors you’re playing. If you think you might be taking too many combo cost 1 cards, try splashing an off-color 0-combo cost card to get back on track. If you build a deck with cards from more than one or two colors, you might have trouble finding enough energy to play your cards during an actual game. Pick one or two colors to focus on during a draft, and you’ll have a much easier time building a successful deck. 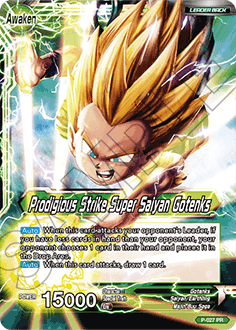 Starting with a Leader Card in mind can form the backbone of your deck. 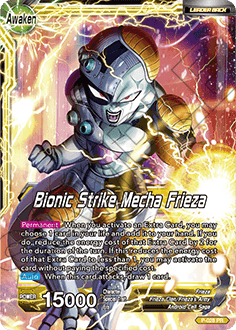 By matching powerful cards that match restrictions on your leader (like BT1-045 0 combo cost Piccolo), you can obstruct your opponents while strengthening your deck. 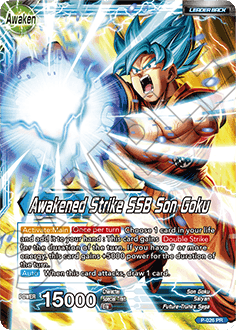 Drafts let you enjoy DRAGON BALL SUPER CARD GAME in a totally new way. Have fun, think of the tips outlined above, and you’ll be a master drafter in no time! And since drafts let you combine the excitement of opening packs with the depth of deckbuilding, it’s the perfect chance to have your friends over for a night of drafting fun!